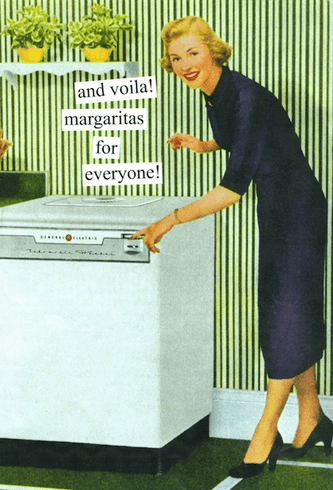 Outside: Woman with machine "And voila margaritas for." Inside: "happy birthday! let the good times roll."